Need more space? Take a look at Dove Cottage, which sleeps 6 plus cots or Lark Rise which sleeps 11 plus cots. Alternatively, create a group of family/friends and Sleep 15 plus cots by joining Robins Nest to our largest property Lark Rise, via an internal lockable hallway, thus creating one spacious house. Discounts may apply when booking multiple cottages - contact us now with your preferred dates to find out how much you can save! Robins Nest provides a perfect, economical option for families with young children. Charming and spacious, with pretty exposed stone work and beams, this ground floor cottage is ideal for anyone wishing to avoid stairs. 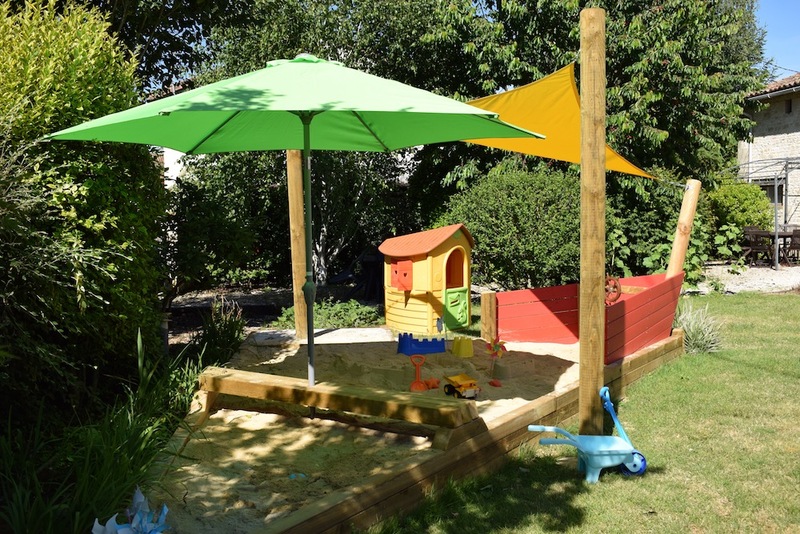 This charming property provides guests with direct access to it's own seating area with oak picnic table and BBQ, as well as a safe garden and play barn with plenty for young children to do. 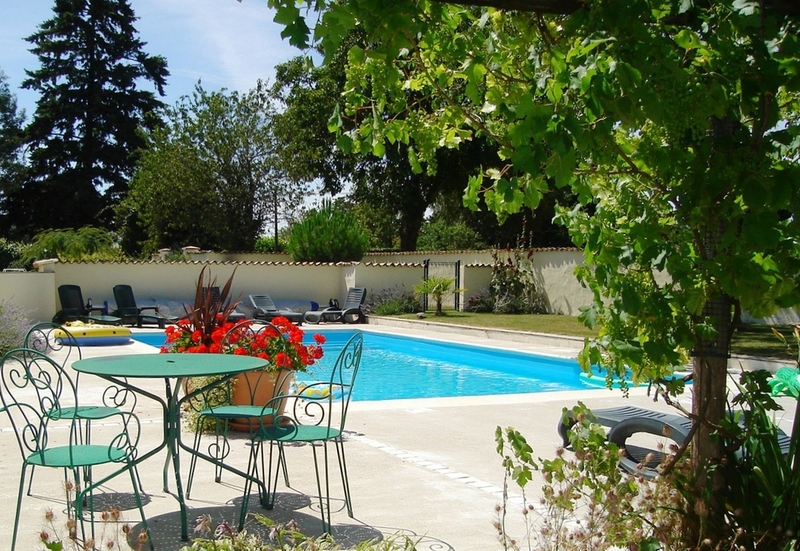 Our guests can enjoy our spacious walled ‘child friendly’ gardens, including a secure gated 'in-ground' heated swimming pool. 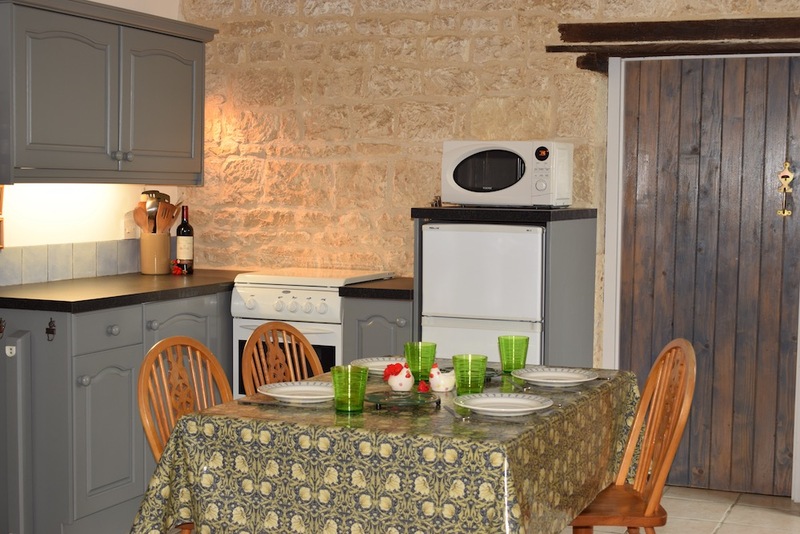 The cottage offers the flexibility of using options of sofa bed or extra single bed/cots. Robins Nest can also be linked with Lark Rise via a sound proofed, lockable hallway to create one extremely large property for families and friends wishing to holiday together. Parking on our drive provides level access to the cottage, just one step on entry. If easy access is important, please email us to discuss. Spacious bedroom with ample room for a king-size (5’) double bedstead and single (3’) bed, plus extra single bed or cot. Cot is an ‘English style’ drop side cot (on wheels for easy movement of sleeping baby from ‘room to room’). The bedroom has, wardrobe, tallboy, traditional fireplace and lovely chestnut floorboards. Black Out option with traditional shutters and insect screens to all windows. Well appointed, large bathroom with full size bath (tap with shower attachment), plus separate large shower enclosure, toilet and basin. Tiled floor. Large open-plan living room with three-seater sofa bed (double bed size), two-seater sofa, coffee table, english TV and Blu-ray / DVD player, dining table and chairs seating four guests, and a selection of books and boardgames. Well equipped kitchen area with ample storage, gas cooker, microwave, fridge freezer, toaster and pretty butler sink in pine cabinet. Tiled floor throughout. Washing machines in laundry room. 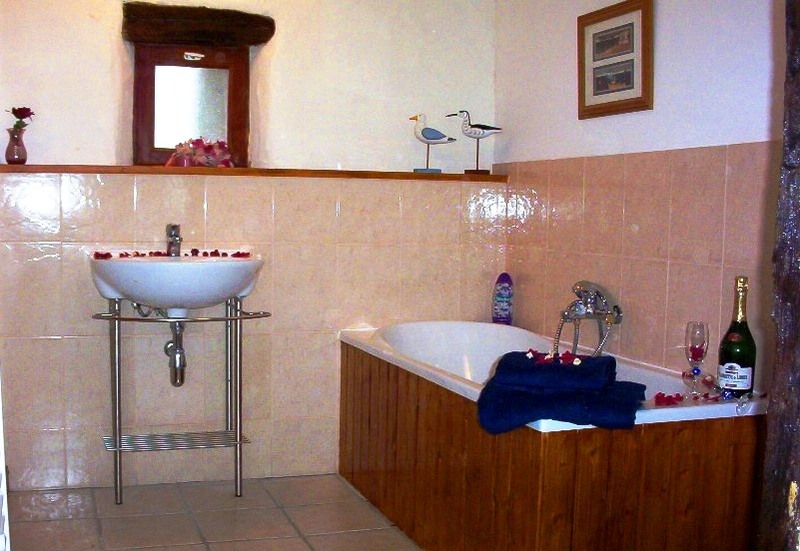 We had a wonderful stay at Robin’s Nest Cottage. 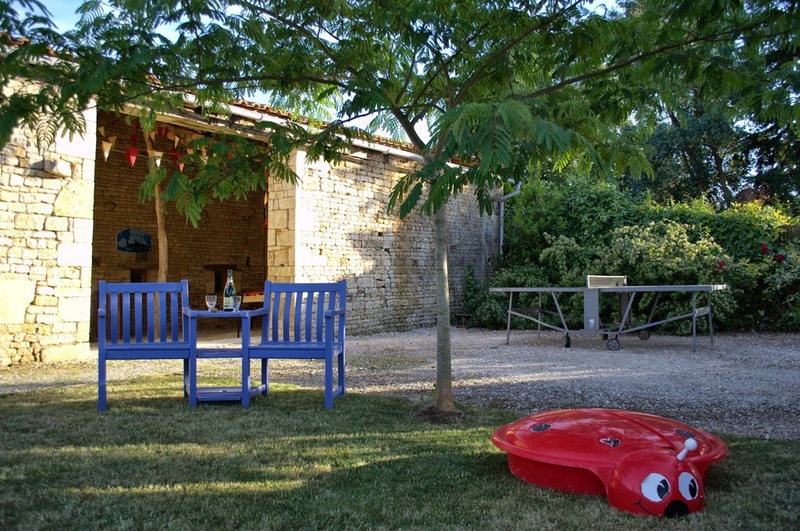 Our 2 year old son loved playing with the brilliant toys in the barn and garden whilst we enjoyed table tennis and a glass of wine - perfect!